Having watched The OA on Netflix a few weeks ago–check it out, it’s really intriguing and pretty clever at times–I’ve come to notice that Jason Issacs in the latter part of his career seems to be specializing in criminally-inclined medical professionals. And I think it was his turn as a trauma surgeon in 1997’s Event Horizon that sent him over the edge. 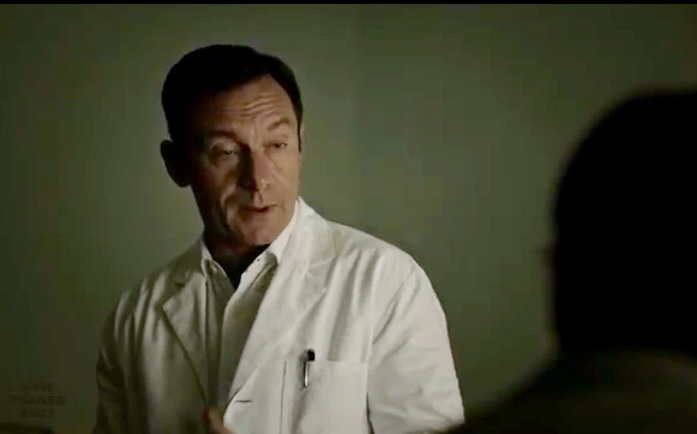 So, in The OA he’s a doctor who’s seeking the secrets only those that have had near death experiences can reveal, while in the upcoming A Cure For Wellness he apparently has not only continued experimenting with people against their will, but is potentially connected to a much larger conspiracy. Some people have mentioned that the trailer plays a lot like Shutter Island, and while there are similarities, it seems so much more similar to John Carpenter’s In The Mouth of Madness–with a dash of The Wicker Man–that another lawsuit might be in order though if I recall, Madness was written by Michael De Luca, not John Carpenter. Posted in actors, genre, horror, Movies, Trailer Park, upcoming.Tagged Event Horizon, In The Mouth Of Madness, John Carpenter, Michael De Luca, Netflix, The OA, The Wicker Man.